Why Watch Other People’s News When You Can Watch Your Own? Welcome to Cecil TV, a privately and locally owned news service dedicated to Cecil County and it’s neighboring areas. If you are a new visitor, you should know we’ve been steadily producing our weekly show and special features since November 2016 and you will find on this site over 100 episodes of 30@6 dating back to our first episode. 30@6 features a wide cross-section of people and organizations from all areas of Cecil County life. Our mission is to present fair and balanced reporting and interviews with the leaders, activists and creators who influence and inspire our community. Though we rely on local advertisers for financial support we also need input and guidance from our viewers so that we know what you would like to see and know about. If you think we got something wrong or if there’s more to the story that we missed, please let us know. Or, if you think we’re doing a great job, we like to hear that too but be sure to tell your friends and neighbors! Please visit our Face Book and Website to like, follow and share. Interested in getting involved? Media that is a value to the community it serves, does not exsist or succeed in a vacuum. We have needs for volunteers both in front of and behind the cameras. Most of our crew learned to do what they do here – you can to! 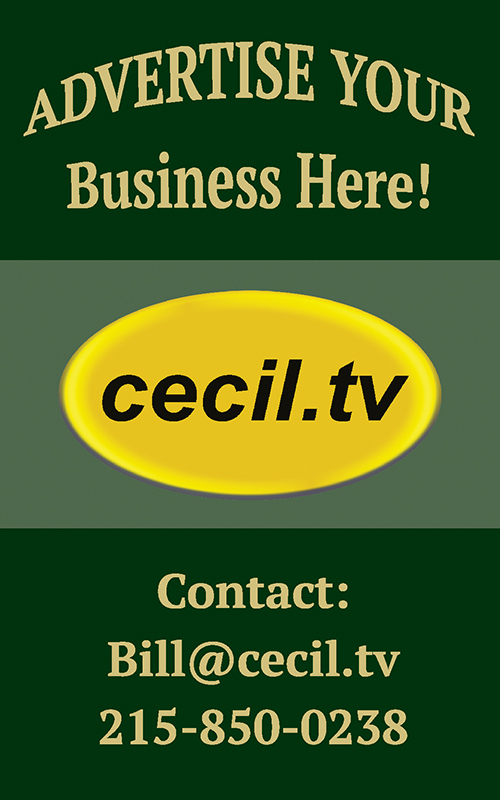 If you would like to participate in what we do at Cecil TV, please contact us.